Courchevel, is a renowned ski area of Europe in France with 3 Valleys, which is well loved by celebrities and royal families. Le Lana began operations since 1958 and is now a 5 star ski-in ski-out hotel at an altitude of 1850 metres in Courchevel. The hotel went through a full renovation in 2008. There are 55 rooms, 28 suites and 2 apartments. You can enjoy 2 hotel restaurants - La Table du Lana and Le Saint-Nicolas, offering a taste of fondue. For those Luxe Travel insiders traveling with family, you will love the game room where children can borrow electronic and other games to play with. Babysitting service is also available. * Terms & Conditions apply. Departure from Hong Kong only. Prices are correct at time of publication in 20th Nov 2018, based on twin share & minimum 2 person traveling together, subject to change without prior notice due to changes by suppliers, fluctuation on exchange rate and availability. Booking on black-out dates i.e. long weekends, public holidays & trade fair period in Hong Kong or destination are not applicable. Please arrange your journey at least 45 days prior to departure. 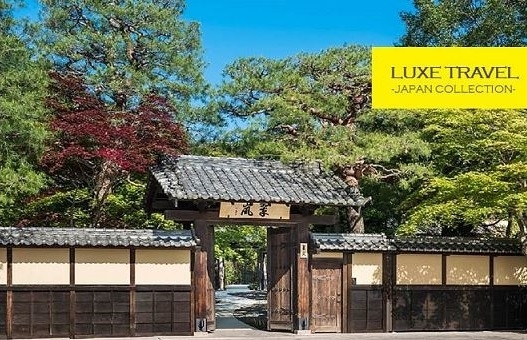 Luxe Travel reserves all rights to reject last minute booking. Pictures and above details are for reference only. Offer cannot be exchanged for cash & used in conjunction with other promotional offers. Terms & conditions of Luxe Journey Concierge Service apply. Please contact Luxe Travel Specialists for quotation. In case of disputes, the decision of Luxe Travel Limited shall be final.